*This product contains very High Nicotine content, not intended for Sub-Ohm use* A rush of delicious berries. *This product contains very High Nicotine content, not intended for Sub-Ohm use* Gushing Blue Raspberry taffy that you just can't get enough of. *This product contains very High Nicotine content, not intended for Sub-Ohm use* Sweet and Crisp Apples blasted with menthol. This product contains very High Nicotine content, not intended for Sub-Ohm use* Sweet and Crisp Apples blasted with menthol. *This product contains very High Nicotine content, not intended for Sub-Ohm use* Refreshing blend of lychee and exotic fruits served on ice. This product contains very High Nicotine content, not intended for Sub-Ohm use* Refreshing blend of lychee and exotic fruits served on ice. *This product contains very High Nicotine content, not intended for Sub-Ohm use* A cool blend of arctic mint. 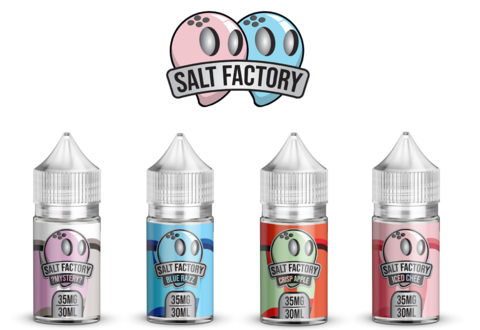 *This product contains very High Nicotine content, not intended for Sub-Ohm use* A Mysterious blend of fruity taffy that will keep you guessing. This product contains very High Nicotine content, not intended for Sub-Ohm use* A Mysterious blend of fruity taffy that will keep you guessing.